When I studied at a Brazilian university in São Paulo back in 2007, I many times found myself having to lookup very subject-specific vocabulary over the Internet. Many times I had an English word that I wanted to express in Portuguese. Other times I learned a new Portuguese word at school that I wanted to translate to English. No matter the situation, I almost always found that Wikipedia could accommodate me better than a general translation dictionary. 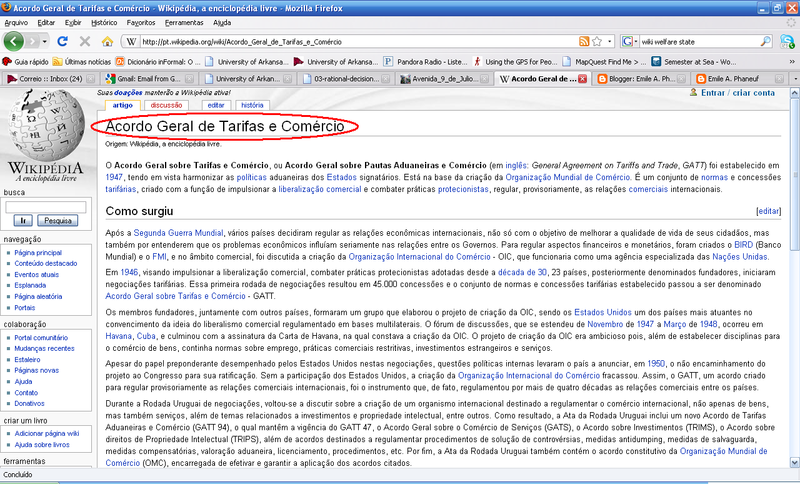 Say for example that I would like to translate the term General Agreement on Tariffs and Trade to Portuguese. Without an English-Portuguese dictionary that was made specifically to include a large amount of business, economics, or Political Science terms, more than likely this term would not be included. Luckily, Wikipedia can usually help. As you see in the above image, you can translate words or terms that have a Wikipedia article designated to them to a variety of languages. If your term has a version of the article in the target language, click the language on the left side of the page. When you arrive at the next page, you will see that the title of that page is the vocabulary word(s) you’re looking for in the target language. As you see below, we’ve been able to conclude that General Agreement on Tariffs and Trade in Portuguese is Acordo Geral de Tarifas e Comércio. Q) Is this a guaranteed technique? A) No. On very rare occasion you will notice that Wikipedia articles in one language have been linked to a related vocab word in another language that is not the correct translation. 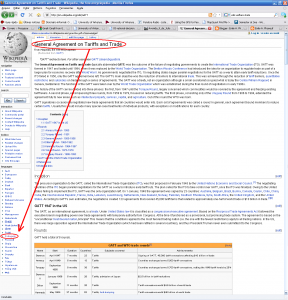 This occurs when Wiki users who create the articles sometimes mistakenly link two articles from two different languages together thinking that they are proper translations of each other. If you have some experience in the language, then you should be able to notice when these mistakes occur. To aid you in your quest for the ideal translation, try using Google Translation Tools. This online tool has developed a lot in recent years and thankfully is not limited to strictly literal translations of words. This is because the tool allows users to suggest better translations. After time this method of integrating the human element is guaranteed to make translations more and more precise. 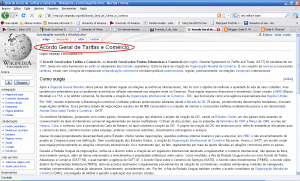 To test a Google translation simply copy and paste your translated text from Google’s translation tool to the Wikipedia page in the proper language (http://pt.wikipedia.org for Portuguese, http://es.wikipedia.org for Spanish, and so on). Next browse a bit in the search results for related or exact text of your search query. If you find articles in your search results are using your translated text in the proper context, it is most likely that your translation is correct. The main thing I wish to stress is that although Wikipedia can, at times, give you an inaccurate translation of the word or term in question, it is generally much more powerful than a simple foreign language dictionary. 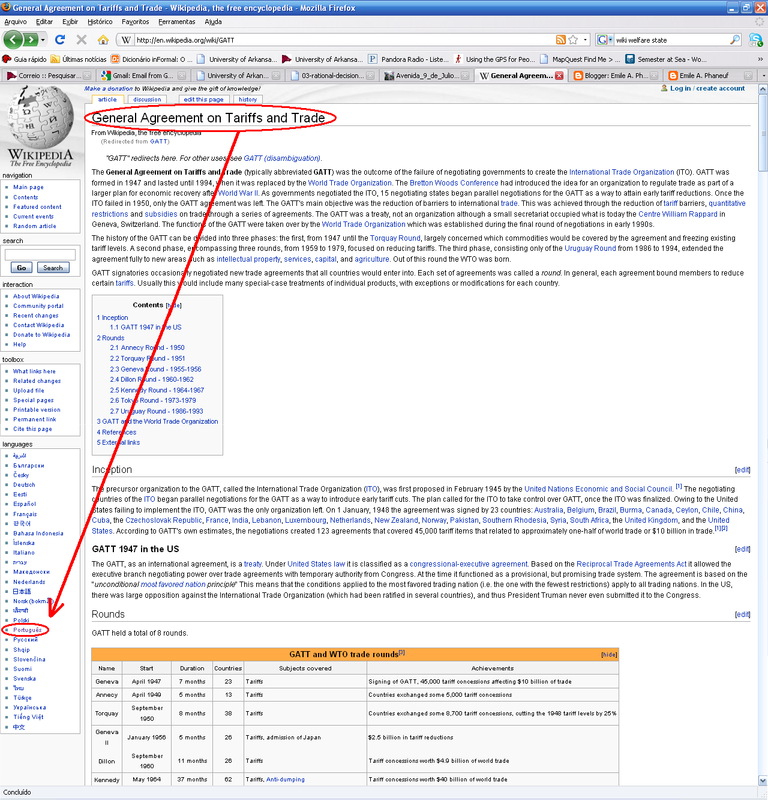 The reason is that Wikipedia is built from a global community. Invalid information in an article gets noticed by Wiki readers and is many times replaced with the correct information and usually given a footnote to support claims, etc. Dictionaries rarely give you much context around the word you wish to translate. Wikipedia always gives you context – as long as an article exists for the vocabulary term you wish to translate. If you have a basic understanding of the target language, you should be able to read a few sentences of the definition to find out if your term has been translated correctly. I hope this technique can be useful to those out there, like me, who have spent a large amount of time looking up very specific vocabulary in foreign languages. This entry was posted in Languages, Misc. Topics and tagged foreign language dictionary, international relations, political science, Portuguese, study abroad, terms and definitions, translating specific vocabulary, translation tools, using Wikipedia to translate, Wikipedia, Wikipedia as a translation tool by Emile Phaneuf. Bookmark the permalink.